Earlier this year, math educator and Desmos executive Dan Meyer published a piece entitled “Lonely Math Teachers” in which he raised the shortcomings of social media and the need for innovative math teachers to connect online. In his post, he made the case for Twitter. 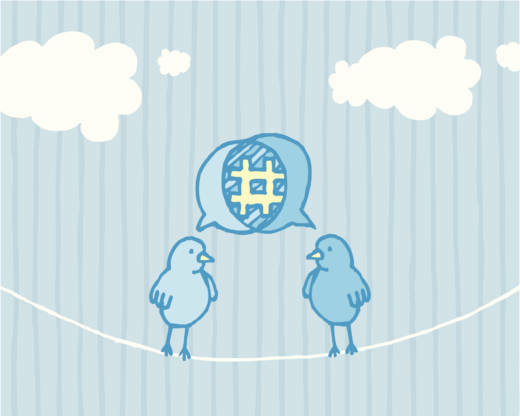 At its best, he argues, Twitter can be an invaluable tool for professional development among educators. For the right teacher, Twitter is the best ambient, low-intensity professional development and community you’ll find. Maybe Twitter isn’t as good for development or community as a high-intensity, three-year program located at your school site. But if you want to get your brain spinning on an interesting problem of practice in the amount of time it takes you to tap an app, Twitter is the only game in town. But here’s the problem: It’s takes a lot of courage to put yourself out there, to broadcast your opinions and to ask for input. And just because you put yourself out there, it doesn’t always mean you’ll get a response. Hence Meyer’s new website: Lonely Math Teachers, in which he curates those lonely tweets that have gone unanswered. For answers, we turned to various educators, who shared tips on building camaraderie and tapping into existing math communities. These tips and strategies include both online and offline approaches, many of which can be applied to any subject, not just math. "Does your school allow for teachers to build communities ad hoc?" That’s the first question you should ask yourself, said José Luis Vilson, a math teacher and author of This Is Not A Test: A New Narrative on Race, Class, and Education. "Generally, high performing countries spend way more time planning that they do actually working in the classrooms,” he said. When Vilson was just starting out as a classroom teacher, he turned to his peers to build upon his own skills and create camaraderie. "I leaned heavily on visiting all of my colleagues two to three times a week,” he said. He would spend time observing and then ask follow-up questions in free periods: “'How did you do that?' 'What did you do?' 'Can I take notes on that?' I started becoming a conglomerate of all the teachers I've seen," he said. Ultimately, educators don’t all have to teach the same way but those classroom experiences can help you innovate and tailor your curriculum in a way that makes sense for you and your students. Lybrya Kebreab is a math coach at Westlake Middle School in Oakland, California. She says Twitter is where she found her people. "It was good to see [through Twitter] I wasn't the only person to see the potential of education, and specifically math, to empower students and teachers." But it took her awhile to actually join in on the conversation. At first, she just observed. "You don't have to say anything to anyone but at least get on and watch and listen to other perspectives for as long as you need to. The whole point is to keep growing." That being said, it’s easy for social media platforms to become an echo chamber filled with similar voices. Kebreab‘s advice is to curate a diverse feed filled with educators from different backgrounds and expertise. "People who have done different jobs have a much wider and broader sense of the big picture [of educational systems]. But then people who have only been in one place have a very deep knowledge base—so both of those perspectives are needed,” she said. "Our upbringing and experiences have a huge impact on how we see things." Kebreab spent many years as a classroom teacher, and she said Twitter helped her expand her craft. She used the platform as a way to gather new ideas and inspiration around math curriculum. "Anytime I did a math lesson that I really wanted to go well and I wanted different perspectives on, I would just put the idea on Twitter and people would give feedback and specific ideas on how to make it better,” said Kebreab. “Every time I did that, they saw the lesson from a perspective I didn't see.” She recalls a time when she heard feedback from a teacher in the Midwest: "That perspective the teacher in Nebraska gave me from Twitter might be similar to the perspective of a kid sitting in my room. But I can't see it with my California perspective—so I am able to reach more children with more eyes on the lesson." If you feel comfortable on Twitter, one way to build upon those relationships is to share your experiences on a personal blog. Just last month, Kebreab started a WordPress blog. And in her first post, she wrote about why play has become so important to her while teaching math: “I’m obsessed with creating joy, laughter and warm memories of in-depth explorations with equations, shapes, patterns, graphs, conjectures, arguments and counterarguments, and most importantly, connections, in the rooms for which I have been blessed with stewardship,” she writes. She kicked off her blog with a topic she’s been exploring for some time and she says that’s a key part of building a community and generating conversation: having a niche. "I've been incessantly encouraged to start blogging by my Twitter friends and by my friends in my immediate math circle. They said I should write, so I wrote,” she said. “I wanted to write something I was passionate about. And I'm passionate about kids being kids and analyzing consequences for the way adults impose their adult worries onto kids in this culture of high testing." Thus far, Kebreab says all conversations have been respectful, even when there are disagreements or “Twitter fights” as she calls them. “We have to engage the other side or else we aren't really pushing ourselves as much as we could,” she said. Ultimately, she said, the more you talk about what you care about, the more people will come to you for information and support on that specific topic. "You start to be known for whatever your pocket is, and the more you expose yourself to the people on Twitter, the more people want to interact with you," she said. "The more you put yourself out there, the more people come to support you." There are collaborators who have been working to create and cultivate online and in-person spaces for math educators. Tracy Zager is one of those people. She’s a longtime math coach and author of the book Becoming the Math Teacher You Wish You Had. She encourages math educators to use hashtags on social media like #iteachmath, #mtbos, #elemmathchat, #msmathchat, and #swdmathchat. This helps raise the visibility of posts, and it also provides relevant streams of conversation that you can follow. She says to look for "little teeny moments to send something out." For example: "If I am in a classroom and a kid says or does something interesting, I will take a picture of their work or jot down their thinking, and then tweet with a math teacher twitter hashtag like #mtbos, #iteachmath, or #elemmathchat and ask, What would you ask this student? or What problem should we pose next? Within a couple hours, the teacher and I will have new ideas to think through together," Zager said. "I can pull all these colleagues into my classrooms with me. I find reaching out to teachers online enriches my conversations and relationships with teachers in person." For additional experiences outside of social media, Zager points to teacher organized opportunities like the Global Math Department’s free weekly webinar, as well as the in-person conference, Twitter Math Camp. And then there’s the annual game night for math teachers that Zager and a few of her friends dreamt up. The last one took place in San Antonio and was sponsored by the National Council of of Teachers of Mathematics. (You can follow the tweets at #MTBoSGameNight.) She says those in person events can deepen relationships and foster emotional connections with other math innovators. And oftentimes, those relationships will sustain over time, not only in person but also online.